Partner Representatives at the Third Meeting of Partners, November 2008. © 2008 Partnership for EAAF. 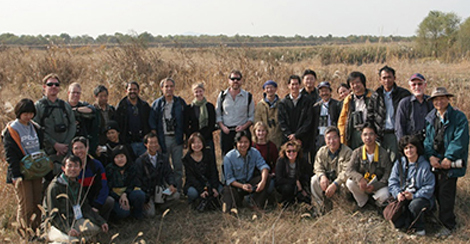 The Third Meeting of Partners (MOP3) of the East Asian – Australasian Flyway Partnership was held in Incheon, Republic of Korea, November 2008. Apart from the Partnership’s inception meeting, which was the First Meeting of Partners, the Secretariat will not provide translations for the subsequent meeting reports. However, if Partners voluntarily translate the reports in their languages, the Secretariat will be happy to upload those documents.